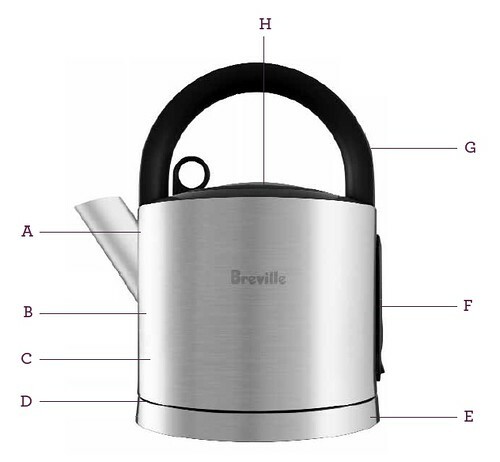 The Breville SK550XL ikon Cordfree Kettle offers a 1.7-quart capacity in a stylish classic design rendered in hand brushed stainless steel. 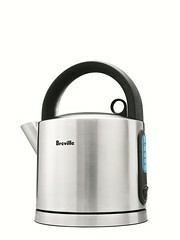 It features a fast-boil 1500-watt heating element that can boil 2 cups of water in about 2 minutes. Quick, powerful and elegant. A. Removable Scale Filter. B. Stainless Steel Finish. C. 1.5 Liter Capacity. D. 1500W Element. E. Multi-Directional Cord Free Base. F. Illuminated Water Gauge and ON/OFF switch. G. Soft Grip Handle. H. Easy Lift Lid.